Enjoy free parking in our private lot. Valet parking available on Friday and Saturday. The Whaling Station offers private and semi private dining areas for groups of 8 to 50. Having a birthday, special event or party please contact us directly to reserve an appropriate area or get additional information. 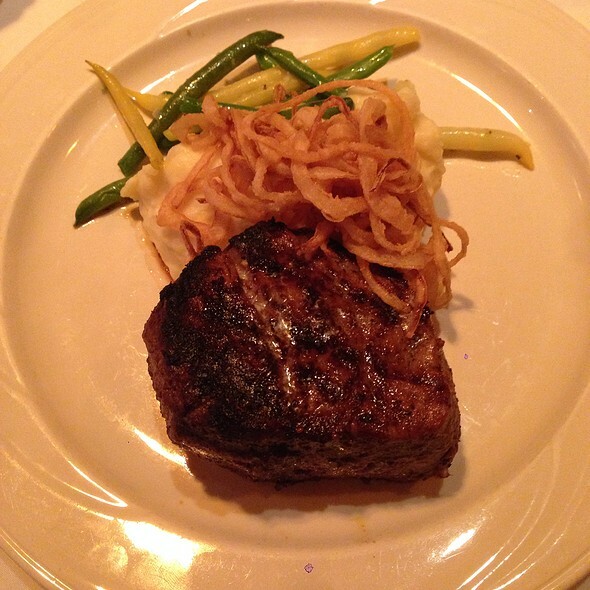 The internationally acclaimed Whaling Station Steakhouse, perched just above Steinbeck’s Cannery Row has been Monterey County’s #1 Steak House for over 49 years, The Whaling Station takes the term “Steakhouse” seriously... Select your USDA Prime cut of the USA’s finest beef from a silver tray or enjoy our slow-roasted USDA Prime, Prime Rib, and your Caesar Salad, tossed tableside. 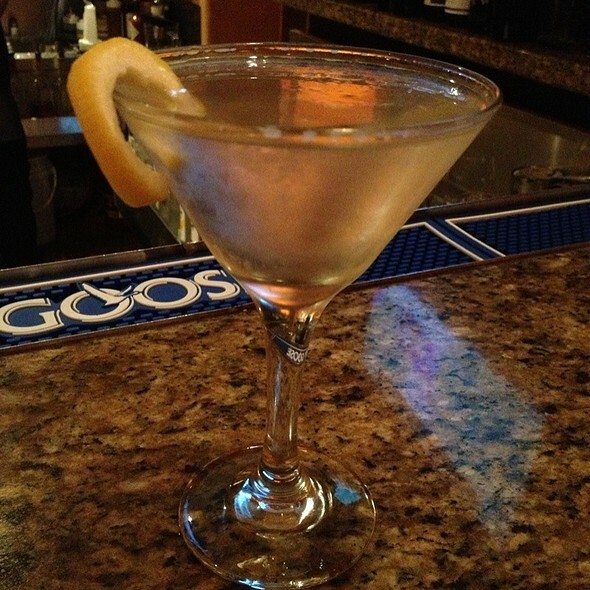 An award-winning wine list and full spirits bar compliment your dining experience. Serving Dinner and cocktails from 5pm daily. 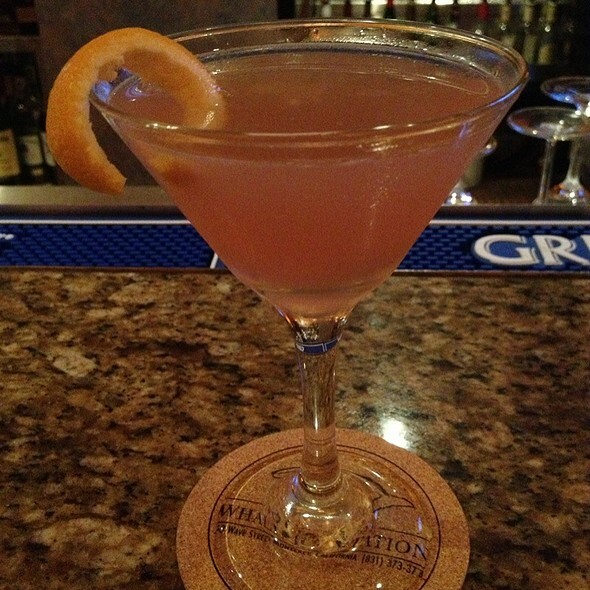 The Bar at The Whaling Station Steakhouse has its own menu and its own local following, with drink specials and lively conversation served nightly. Parking in our private lot. A private, 50-seat banquet room is also available. We love coming to monterey/Carmel. Since we love steak (seafood) this day, we decided to try this place. We’re disappointed with the food, had the rest for to go, but they did not put all the food in the box. So we didn’t get our moneys worth! Over all we HAD BETTER! We regret coming to this. INCREDIBLE! Top quality service. The Cesar salad is phenomenal. I can’t remember the name of the dessert, but it was something from New Zealand. Wow... Leave room for dessert. Seriously. The food is pricey, for sure, but if you’re wanting to have a nice dinner and you’re willing to spend for it, I highly recommend Whaling Station. Best food and ambiance on the peninsula hands down. The service is impeccable, the gals and guys are the best ever and Freddie is always there to welcome all the customers with a smile!!!! Our waiter, Lanny was super helpful in wife's menu selection, and even better recommending a steak for me! Great service, friendliness and dinner all around. Kudos! I was a woman solo dining and was treated very well by all staff. That is unusual in my solo dining experience and I was very pleased. I will be back in Monterey some day and will return to this restaurant gladly. The food was excellent as well. It was a fine meal, reminiscent of a steakhouse from 1995. I think it's lame when the steak menu is a piece of meat on a tray, I know what a ribeye is, thank you very much. The meat was cooked to the proper temperature, but the steak had excessive char for my taste, and would have benefitted from some salt. The wait staff seemed thin and we had to request items a couple times before they made it to the table. Overall it was good not great. Lovely meal with friends. Both couples shared a main course, which was nicely done by kitchen so no awkward dividing at table. Appreciate that when dining on holiday because it allowed us to enjoy drinks and appetizers/salads without having leftovers. Excellent dinner, had Prime Rib, salad, cobbler, wine, coffee. All well done. Staff was attentive, friendly to deal with. Have been here before and will visit again in the future. We had a reservation for a business dinner and were accommodated with a quiet table in a corner with no other patrons. The service was really good, the food was delicious, and the ambiance is classy. We always go to dinner here when we visit MONTEREY. The males in the family love the steaks and us females love the seafood. Our waiter was wonderful. Our dinners were great and cooked exactly as we had requested. The drinks we ordered were really yummy. Always a really pleasant and delicious experience when we eat there. Best food and atmosphere. Freddy, Turbo and all wait staff are the best. We love this place, our favorite in Monterey and Pacific Grove! Great experience, a must visit if you are on a trip to Pebble!!!! We were greeted warmly, seated immediately and and enjoyed a fine meal. Atmosphere was upscale but casual dress made for a relaxed feel. Food and beverage assortment and quality was very good. We had a great time and will be back! We celebrated my husband's birthday here. Everything from the cocktails to birthday dessert were spectacular! Our server was very attentive and fun to talk to. Thank you to all for a wonder birthday dinner celebration for my husband. It was a great dinner place for friends gathering. The steak and dessert was delicious. Paul was excellent and knew the local wines very well. Great meal, service was good, walking distance to the ocean. Extremely happy with the service and the food was amazing! Prime rib was very good but more medium than medium rare as ordered. Lobster in the pasta dish was a bit overcooked. Halibut was excellent. Noise level was quite high but not surprising given it was a very busy Saturday night. We never miss The Whaling Station when we are in Monterey.... and it never disappoints. Love the linguini and clams and the steak is the best! Try to save room for dessert! The Whaling Station is the best restaurant on the Peninsula hands down!!!!! Freddie welcomes you at the door and seats you, Paul and the other wait staff offer the finest meats and the freshest coffee. The presentation from the Chef is spectacular!! The best. The service and food is great. The bar menu is fabulous along with the great cocktails. It had been a few years since we had been here. The Beef Wellington caught our eye while reading the menu on line. We were seated near the bar area which normally would have been fine but the female bartender was talking so loud to her only two customers was very distracting. Since we pretty much knew what we wanted and had just a few questions for our server, we expected to order quickly, but the waiter showed up with a platter of steaks so we could “see and hear” all the types of steaks they have. It was to rehearsed and therefore lacked energy and it would have be nice to have been asked first as it was wasted on us. On the more POSITIVE SIDE which influenced my high rating, the food was perfectly cook and the Beef Wellington was fabulous, we split a twice baked potato which was a good thing because it was huge. Yes next time in town we will go back for sure but request a table away from the bar. Would very much recommend. The service was excellent, attentive but not intrusive, the food was outstanding. Even though we live about 4 hours away, I am looking forward to bringing my family. We had reservations somewhere else, but changed them to The Whaling Station, couldn’t be happier. Best steak we have had in a long time will definitely be back. The quality is fantastic. Best steaks this side of San Francisco. Wonderful friendly staff. Very attentive service. And the prices are more than fair. I have had parties of nine and just two of us, service is the same.... perfect. The manager does a very very good job keeping the experience the same no matter when you come. Had a very enjoyable dinner. Noisy! It was really noisy making it hard to converse. Has a nice lively bar scene that looked fun. The wine list they gave us was very limited although they seem to have quite a few by the glass (3 glasses for $45). Caesar salad was quite good but they really push adding extra stuff ($$). Oysters Rockefeller were tasty ($16 for 4) but pretty small and served without a fork. When I asked about a fork, server said: "It's right there (Pointing to my dinner fork) any closer it would bite you". He then brought me a salad fork but too late. Wife order halibut with a cream sauce that was good and served with 3 clams. I ate one but the second one tasted like cow s__t, literally. YUK! My prime rib was very good but the creamed horseradish was really weak, very little horseradish! It was served with really good spinach and mashed potatoes. If we go back, it will be on a Monday as just to noisy on a Friday. Our waiter was the best! Ask for Jum... he’s personable, funny and overall a fantastic waiter. The food was delicious and cooked perfect. I would definitely return and recommend!! Amazing steak and amazing service! We couldn't have picked a better place for our anniversary dinner! Lanie (sorry if this is not how to spell his name) was a delightful waiter. Very knowledgeable, friendly and pleasant. We will be back!! This place is a little gem. Can't wait to go back. Everything was delicious! The service was top notch! My service was not efficient & very delayed .... I come here at least twice a month & it’s always phenomenal but my last visit was not what I have been used too .